It shows the pain and misery index for the UK turning up and heading towards the long-run average. 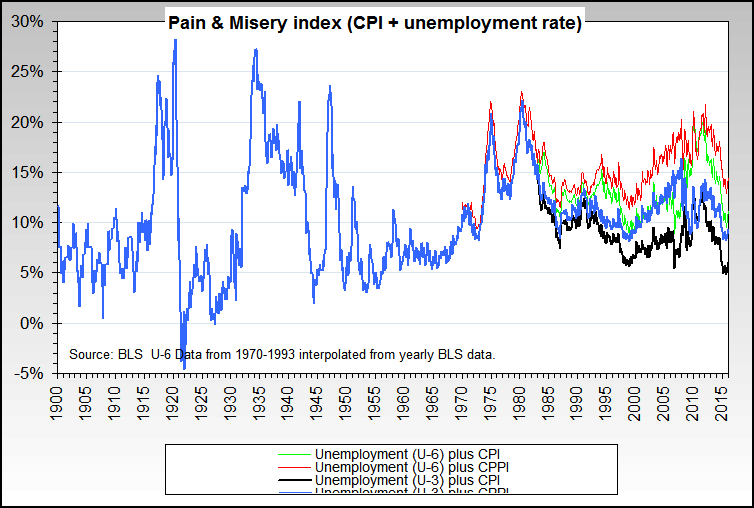 AFAIK, the pain and misery index is the sum of the unemployment rate and the inflation rate. Using "real" rather tha fake numbers, US "misery and pain" is as high as at any time since the end of WWI, the great depression and the geopolitical energy crisis in the 1970s. Amazing.